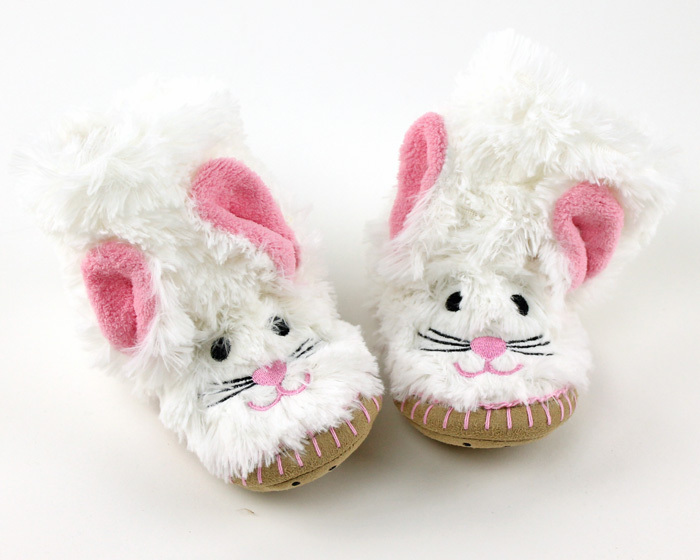 Your bunnies will hop for joy when they see these adorable Bunny Slouch Slippers! 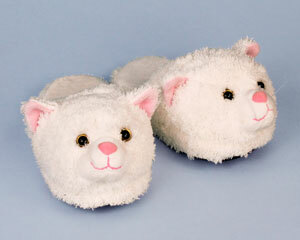 A snuggly smile, pink nose, and big ears adorn these slippers, ensuring a big smile for all who see them. 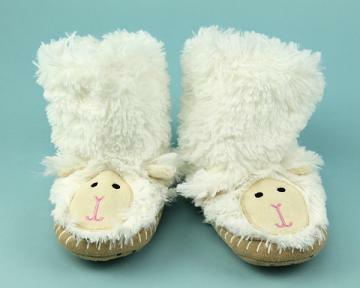 Soft fuzzy fleece envelops the entire foot, while the top of the slippers slouch around the ankles. 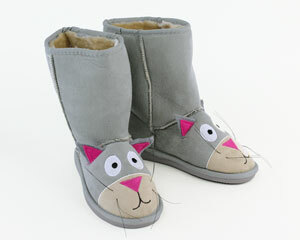 A microsuede sole cushions their little paws, while offering stability and comfort. We wouldn't be Bunny Slippers without offering you the cutest bunnies around! The slippers are adorable! They are just as they were pictured on the site. I can't be exactly sure if they will fit true to size because they are a Christmas gift for my niece. Although they do look just right eyeing them. These slippers are so cute and cozy. My four year old granddaughter loves them! Advantages: Seem well made. Adorable and comfortable. Cute but one pair had floppy ears and one pair didn't, hopefully my twin nieces won't notice the difference...a bit disappointing. 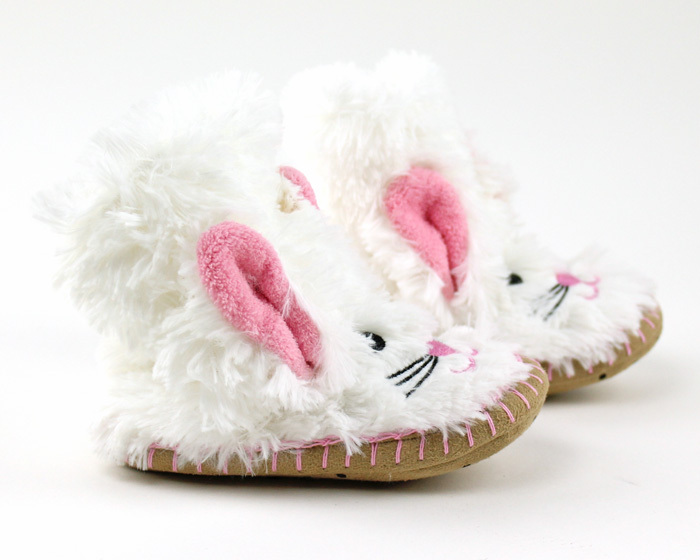 The cutest and softest bunny slippers around, I wish they were big enough for my foot. I accidently ordered the wrong size and wrote an email to the company and they were able to change the size in a flash. These are absolutely adorable! 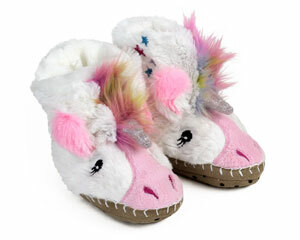 Super cute, comfy and my daughter loves them! Advantages: Easy to slip on but don't fall off! Just darling! Excellent service, quick and painless. Thanks! They came super fast and my granddaughter loves them!